Unmanned Aerial Vehicles – commonly known as drones – are expected to soar over Oregon and Washington in the next few years thanks to three Oregon test ranges recently approved by the FAA. The FAA has already issued a handful of waivers and plans to modify its rules for all users as early as 2016, allowing at least some commercial drone activity. 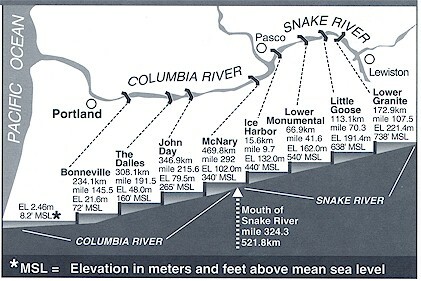 This paper promotes designating the Columbia River – from Astoria to Umatilla – as an official skyway. Drones could improve safety and commerce by flying with continuous GPS beaconing and automatic detection of obstacles. Here’s my article in Drone Life: Can Rivers be the First Drone Highways? ABI predicts that commercial drone revenue will grow at 51% annually from 2014 through 2019. By 2019, the commercial drone market will be worth roughly five times as much as the hobbyist market and more than twice as much as military and civil service drones. Commercial certification of UAVs by the FAA for operation over land and water in the United States is anxiously anticipated by the fledgling industry. Operators in Oregon hope to provide commercial services for the motion picture industry, real-estate, search and rescue, agriculture, and many other industries. On June 10th, 2014, the FAA approved the first commercial UAV use over land of the AeroVironment Puma. Last summer, the FAA issued restricted category type certificates for commercial use in Alaska of the Insitu ScanEagle, a fixed-wing UAV, developed on the Columbia River Gorge and the Puma. 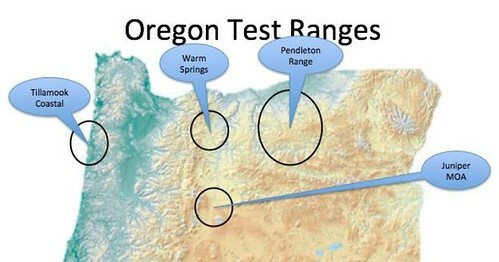 The FCC recently approved three Oregon UAV test ranges; the Tillamook Test Range, the Pendleton Test Range and the Warm Springs Test Range that will get drone products off the ground. The FAA approved the Pan Pacific UAS Test Range Complex, a coalition of three states with test ranges in Alaska, Hawaii and Oregon. Alaska, the coordinator for the 3-state coalition, has begun drone flights with the Aeryon Scout, according to a press release from Peak 3, the Alaska company that contracts with the city of Pendleton to develop and manage its test range at the Eastern Oregon Regional Airport. The ScanEagle tracks ice movement in Alaska. BP’s Puma drone will survey 1,300 miles of pipelines using LiDAR. A small drone, at 25 mph from an altitude of 150 feet, can achieve a survey accuracy of 5 centimeters horizontally and 1 centimeter vertically. Insitu, headquartered in Bingen, Washington, just across the Columbia River from Hood River, was founded by aeronautic engineers Tad McGeer and Andy von Flotow to track schools of tuna for fishing companies. Insitu currently uses airspace near Arlington and Boardman to test its unmanned aircraft. Oregon’s UAV test ranges in Tillamook, Pendleton and Warm Springs enable local testing. Congress has instructed the FAA to integrate commercial drones into public airspace, where they will fly in coordination with conventional aircraft. The FAA selected the University of Alaska’s proposal which contained Hawaii and Oregon UAV test range locations. 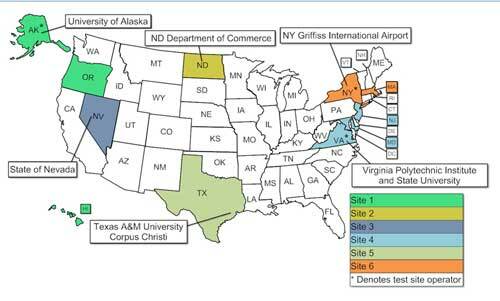 In total, 58 companies and 13 test ranges are part of the Pan-Pacific UAS Test Range. Yamhill County hopes to expand drone testing into the northern Willamette Valley and make it a major hub in the emerging field of precision agriculture. Electrically powered UAVs are a different class of drones than earlier gas-powered military drones. They are smaller, cheaper and more maneuverable, utilizing cell phone technology. But they have less range, speed and payload. Most electric-powered drones currently have a range of less than a mile and are limited by a 15-30 minute battery. In the United States FAA guidelines limit operations to less than 400 feet for personal use. But small drones have big potential. Take precision agriculture for example. HoneyComb Corp in Wilsonville manufactures hand-launched drones made from Kevlar with sophisticated guidance and image processing software. It spots areas of distressed crops and counts trees. Stephen Burtt co-founded Aerial Technologies International in Clackamas. Their drone system can fly for up to 25 minutes and is used to help farmers monitor crops or help first responders to monitor oil spills and fires. Brian Whiteside in Corvallis started Virtual Data Operations Support (VDOS) for software control. Cessna, Lancair, Epic Aircraft and Windward Performance were hit hard by the economic downturn. But central Oregon now has everything to become a manufacturing hub for pilotless aircraft, say Roger Lee, executive director of the Economic Development Agency of Central Oregon. The proposed Oregon Airspace Initiative would expand airspace for the Oregon Air National Guard and establish a new Military Operations Area (MOA) underneath the existing Air Traffic Control Assigned Area along the Oregon coast from Astoria to Lincoln City and adjacent to their other operations area further off the coast. An F-15 fighter burns fuel at four gallons per second or 14,400 gallons per hour. So 4 aircraft flying 3 hours would use 172,000 gallons of fuel. At $6/gallon that’s $1,036,800 a day for (Middle East) fuel. It can be a long wait for a National Guard helicopter. Meanwhile the Coast Guard’s Newport rescue-helicopter station plans to close down due to lack of funds. The Johnson Near Space Center, at the Port of Tillamook, is the first commercial high altitude balloon and UAS facility in the nation. The new Tillamook Airport facility features both Jet A and Avgas refueling with the main runway one of the longest on the Coast at 5,000 feet. Insitu’s ScanEagle, a 40-pound aircraft with a 10-foot wingspan, is used for surveillance, search and rescue, and mapping. The remote-controlled devices are equipped with cameras that can transmit real-time video. Insitu’s new RQ-21A Blackjack has an endurance of 16 hours, a payload of 39 lb and 350 watts, and a ceiling of 19,500. It can carry communications relay gear. The AUVSI Cascade Chapter represents the states of Oregon and Washington. The Small Unmanned Systems Business Exposition was a gathering of the clan. Oregon has been recognized for more than a decade as a hotbed of UAS development, says Belinda Batten, Oregon State engineering professor. Soar Oregon News has more. Fixed wing drones can fly four to ten hours or more at decent speeds, but often require a runway or catapult for launch and a net to catch them returning. The M80 Stiletto UAV support ship has a Pentamaran hull, carbon fiber construction, and networked architecture. The Coast Guard hopes to begin purchases of unmanned aerial systems by FY 2016, with small UAVs deployed from its National Security Cutter fleet, such as the Coast Guard Cutter Alert, based in Astoria. Aerovel, from the founders of Insitu, is now creating Flexrotor, a next-generation vertical takeoff drone. Aerovel’s 40lb VTOL has Hawaii-to-West Coast range and can be launched and retrieved from an unmanned boat. The best-known drone is probably the Predator drone, manufactured by General Atomics for the U.S. military. Commercial drones are expected be used for river and transmission line surveillance, spotting forest fires, search and rescues, law enforcement and other applications. Drones could provide real-time information to firefighters and alert officials when conditions change. “I think you are going to see them sooner than you think,” said Rusty Warbis, flight operations manager at the BLM’s National Aviation Office. A gas-powered drone helicopter will scout for Oregon forest fires. The G30 Century costs about $1,800, but will run close to $5,000 once it is outfitted it with video and infrared cameras, said Tyson Shultz, a forester assembling the craft and getting qualified to fly it. Production of a Daily Crop Report is a big driver for small UAV systems. Resson Aerospace is transforming drone footage into customized images and analytics for large agriculture companies. The Open Ag Data Alliance (OADA) is creating a data ecosystem that enables interoperability for the entire agriculture industry. Sales of drones — both military and commercial — are expected to reach $89 billion globally over the next decade, according to aerospace-research company Teal Group. DJI, AeroVironment and 3D Robotics are currently the big three in small drones. Domestic commercial drones could be a $13 billion industry by 2017, creating 70,240 jobs, according to the AUVSI. They estimate Oregon’s share at $81 million with about 400 high-skilled, high-paying jobs. DJI’s Phantom 3 Vision+ shoots 4K video. Parrot’s Bebop drone has Extended Range to a mile or more and can connect to headsets like Oculus Rift and Google glass. DJI raised $75 million from Accel Partners. Parrot has sold over a million AR.Drone quadcopters since the sUAV was introduced in January of 2010. CyPhy’s received $13.5 million from Motorola Solutions and others and has a successful kickstarter. Chris Anderson started DIY Drones and later 3D Robotics, a VC-backed startup with over 180 employees in North America and more than 28,000 customers worldwide, doubling its sales every year. ArduPilot (also ArduPilotMega – APM), was created in 2007 by the DIY Drones community, based on the Arduino open-source electronics prototyping platform. 3D Robotics utilizes open source hardware and software. The Android ecosystem is their model. Lidar is now available for small quadcopter drones, creating 3D mapping with point clouds. This video shows a virtual fly-through using a three-dimensional lidar model of the lower Elwha River just west of Port Angeles. F2V’s digital maps provide street view-style panoramic imagery, collected from the surface and below the water line are fused with other location-specific data like water quality. F2V’s Elwha River tour used panoramic cameras on an inflatable boat, on a drone, and underwater (for “Fishviews”) of aquatic environments. A coalition of 15 leading news media companies, including the Oregonian, are testing small drones for news gathering (video). A Chicago TV station was the first to broadcast live HD from a drone (above), flying over a new park trail that is about to open in Chicago. Alpha Media’s news-talk KXL radio in Portland, and the Vancouver Columbian are set to go. Oregon Unmanned Systems Business Enterprise, a nonprofit now called SOAR Oregon, is designed to establish Oregon as a leader in the civilian uses of unmanned aircraft. The organization is launching with a two-year $882,000 state grant from the Oregon Business Development Department and the Oregon Innovation Council. Paradigm ISR of Bend for development of a system to collect and analyze pest management data for agricultural crops, $60,000. NW UAV of McMinnville, in partnership with the VT Group of Tigard, for completion of a new, certifiable propulsion system for flight vehicles, $75,000. Fordyce Design and Manufacturing of Gaston for a standardized servo system for flight vehicles, $14,000. Insitu’s Advanced Programs Engineering Group of Hood River for development of flight navigation and communication systems to integrate manned and unmanned aircraft for missions such as firefighting and search and rescue. Cloud Cap Technologies to integrate Sagetech’s next generation transponder for development of a new-generation transponder and autopilot for improved flight safety at test ranges and eventually in the general airspace, $103,000. SoarOregon considered about 40 proposals from area companies in the first round of funding this April. “Oregon has a once-in-a-lifetime opportunity to be on the leading edge of a new industry,” said Mark Morrisson, executive director of SoarOregon. Rick Spinrad, VP for research at Oregon State, is the board president of the new industry group. PDX drones, founded by Scott Edwards to demonstrate and promote the use of drones, hopes to turn Portland into a hub of activity for Drone development and monetization. Members build and fly a variety of aircraft, mostly using electric powered propulsion. They use a variety of flight controllers. A dozen spinoff companies and suppliers from Insitu collectively employ about 1,200 people in the state. There are another 80 drone and aviation-related companies in the region, according to Economic Development for Central Oregon (EDCO). The Dronecode Project, administered by the nonprofit Linux Foundation, aims to establish common technology for use across the industry. Dronecode includes the APM/ArduPilot UAV software platform and associated code. It has backers like Intel, Qualcomm and Skyward.io. PX4 ​is an independent, open-source, open-hardware project aiming at providing a high-end autopilot. The PX4 from 3D Robotics features advanced processor and sensor technology for controlling any autonomous vehicle. The 3d Robotics Solo ($1200), their latest packaged drone, can stream live video to the internet, although video range is only .5 miles (using 2.4GHz). At least 10 times that range might be required for first responder applications. Sprint’s new 2.6 GHz 4G system, using their array of 8 antennas, might deliver the punch for long range video. Skyward IO, promoting controlled airspaces, says Oregon’s test ranges will spawn jobs at tech centers and manufacturing operations. Skyward raised $4.1M in expansion capital to expand the engineering and product development team. Verizon invested in Skyward and is working with regulatory agencies in various countries to plan flight routes and use cases for the Urban Skyways project. The goal is persistent, commercial, digitally- managed airspace. The Unmanned Aerial System Traffic Management (UTM), developed by NASA, would enable civilian Low-Altitude Airspace and Unmanned Aerial System operations. Two types of UTM systems are envisioned (pdf). The first is a Portable UTM System, which would move from between geographical areas and support operations such as precision agriculture and disaster relief. 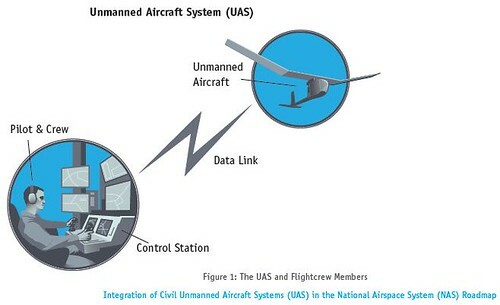 The second type of system is a Persistent UTM System, which would support low-altitude operations and provide continuous coverage for large geographical areas. A UTM prototype is expected by 2019. Aerial Inspection Rescources and VDOS are Oregon-based, FAA authorized UAS inspection companies. Spherical videos shot with a helicopter by AirPano (above) could be done far cheaper (and better) with a matrix of GoPro cameras on a drone (below). Panoramic, 360 degree videos can be uploaded to a website then viewed on a desktop or even a head-mounted VR display. Turn your head and look around. Google Cardboard is essentially, a $25 VR cardboard housing for a smartphone. With it, viewers can literally fly through a landscape or a city street shot in 360 degrees. Handy for post-apocalyptic 360 degree tours posted on YouTube. The Columbia River is the largest river in the Pacific Northwest and the fourth-largest river in the United States. The average width of the Columbia River is one mile while the length of the Columbia is 1243 miles, beginning in Canada. The BPA might save tens of thousands of dollars annually if they could survey their high voltage backbone with drones rather than light aircraft. A 350 mile drone corridor from McNary Dam to the Pacific Ocean could monitor vessel and rail traffic. UgCS software for drones provides 3D visualization of routes with custom 3D objects such as power lines and transmission towers. Columbia River DART (Data Access in Real Time) provides daily information on fish migration, something the Dept of Fish and Wildlife needs to do with less risk and expense. The goal of the FCC’s Connect America Fund is to have broadband available in nearly 100% of the country by the end of 2020. The total amount invested from the fund will be approximately $9 billion over the next six years. Current 4G coverage along the Columbia is poor, especially below Longview, where Interstate 5 and the Columbia River diverge. Perhaps Small Cell beamforming, of the type that may be used by Google’s Fi network, would be a good candidate for continuous broadband coverage up and down the Columbia, automatically switching from carriers to WiFi. A rack in Google’s data center in The Dalles might provide a cloud-based Radio Access Network for low-cost nodes all along the Columbia. Sprint “Spark” coverage along the Columbia River combines 800MHz, 1.9GHz and 2.6GHz. Using 8T8R antennas, Sprint’s 2.6 coverage and 1.9 GHz are said to be similar. Live streamcasting from a Nexus 6 is here now. Put a bird on it. KIOSK is a towable communications platform, tailored for drones (below). If Google uses (unlicensed) 5.8 GHz and (licensed) 2.6 GHz, costs should be dramatically lower, although range at 2.6 GHz could be limited to a radius of 3 miles (or less) and 5.8GHz range might be limited to 1,000 ft or less. With 600 MHz, coverage gaps may be effectively closed (with 3X the range of 2.6GHz). Relay Nodes (repeaters), are small cells that don’t require backhaul. They repeat the signal. While bandwidth is reduced, range is extended. Five large (macrocell) towers in the lower Columbia might cost/effectively cover the area, when supplemented with 10-12 relay stations. Consequently, some 10-20 Nokia/Alcatel relay stations ($15K each), using 2.5 GHz (TDD) small repeater nodes, may also fill in the coverage gaps. Kansas City and Sprint are creating a “Smart City” along their downtown streetcar line. The city is investing $3.7 million in public funds, Sprint is putting in about $7 million and Cisco is putting in about $5 million, to provide free Wi-Fi along the route as well as installing smart lighting, cameras, sensors, and 25 interactive digital kiosks. Kansas City will join Barcelona, Copenhagen and Hamburg as hubs for this technology. Communities everywhere along the Columbia would benefit from cost/effective wireless broadband network — not just live video from drones but for commerce and economic development. Google’s Fi network – and any number of alternative approaches could deliver wireless broadband access, stimulating the economy, providing enhanced safety and commerce. Funding FCC’s Connect America Fund is available while partnerships with carriers, BNSF, Google and Amazon could benefit everyone. It would be prudent development by any measure. An oil, coal or gas spill will cost millions to clean up. It’s a solid rationale for federal funding. It is likely that LTE-A services – like Sprint’s 2.6 GHz band – will be marketed as 5G before a standard is declared. That will likely enable every community along the Columbia River, from Portland to Astoria, to have affordable broadband wireless within 5 years, utilizing “5G”. Other options, using different bands and techniques, offer a variety of characteristics even if they don’t offer a standardized “5G” approach. First responders in Oregon and Washington might have priority access to any UAV platforms, especially if they used the dedicated 700MHz LTE network called FirstNet. FirstNet is a dedicated LTE network for first responders. It uses the 700 MHz LTE public service band using dedicated LTE infrastructure. 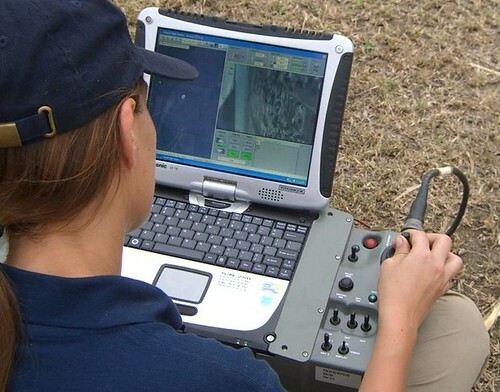 FirstNet could be used by public service agencies regardless of the drone evaluation program, but it could help fund the radio service, for oil train fires and other events. With direct devise-to-devise connectivity (in the next commercial release of LTE), radios don’t even need a centralized cell tower to talk to each other. A 700 MHz cell can provide LTE cell sizes of 10 sq-km (about 4 sq miles) with a cell-edge performance of about 1 Mbit/s. But antenna gain would likely be directed along the river (1 x 4 miles) while elevation gains could double the range (8 miles each way). Among other possibilities might be a UAV orbiting at 65,000 feet above Tillamook. Although just speculation, this concept might provide direct LTE connections from Portland out to 125 miles off the coastline. A military-style Pacific-coast drone network (using 2-3 long duration UAVs), might also provide direct radio contact for areas in the Pacific coast range mountains that currently have no wireless coverage. 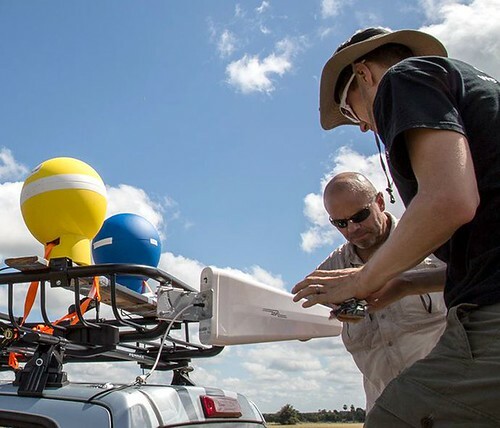 Google’s Project Loon uses radio-equipped balloons to deliver internet access from 12 miles above the earth. It currently uses WiFi bands at 2.4 and 5.8 GHz which are available for anyone to use. Google also plans to test unlicensed “TV white space” radios, using 512-602 MHz and 620-698 MHz. 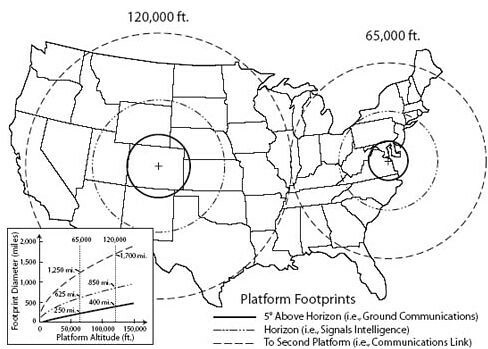 At 4 W per 6 MHz channel, they are expected to cover a radius of 5 miles from its Mountain View, California campus. Google’s Loon project now uses LTE to provide as much as 22 MB/sec to a ground antenna and 5 MB/sec to a handset. Google’s use of licensed LTE frequencies in northern Nevada required consent from local wireless broadband operators and that it its tests didn’t take place within 25 miles of an LTE base station operated by AT&T, Verizon and T-Mobile. Small Cell Forum Release 4 improves HetNet (WiFi/Cellular) integration and multi-vendor support. Predator drone fly higher and use expensive satellite links, while the middle ground is held by drones like Insitu’s RQ-21A Blackjack, with a payload around 40 lbs and a ceiling of 20,000 ft. Direct to ground 300 Mbps backhaul might use the 70 GHz band. The Solara 50 solar-power UAV from Titan Aerospace carries 70 lb payloads to 20 kilometers (12 miles), and acts as an cellular base station providing an 18-mile coverage radius. DARPA’s Mobile Hotspots program aims to build mobile 70/80 GHz backhaul for UAVs, connecting at 1 Gb/s. Tillamook’s Near Space Corporation makes and operates high-altitude balloons for NASA along with many private clients. The Navy’s ship-based LTE network goes 20 nautical miles using a tracking antenna. LTE Release 11 now uses multiple antennas to suppress interference and improve range and throughput. Kymeta’s flat antenna steers the beam electronically. No moving parts. Perhaps a conformal antenna (like Kymeta’s) will work with smaller drones for both satellite and terrestrial backhaul. Echodyne uses beamingforming radar for collision avoidance with small, flat antennas similar to Kymeta. The O3B Constellation of 8-20 MEO satellites at 8,000Km (5,000 miles), may represent an unique opportunity for Scan Eagle-sized drones that neither LEO nor GEO satellites can now deliver. Giant LEO satellite constellations have been announced by OneWeb and SpaceX. Airbus is building 900 satellites to beam internet from space by 2019. OneWeb’s constellation is bankrolled by Richard Branson’s Virgin Group and chipmaker Qualcomm. SpaceX is planning a 4,000-satellite constellation to provide broadband Internet access, and had submitted filings to the ITU. The new space entrepreneurs are proposing technology that is smaller, built in-house and therefore cheaper to operate. MEO and LEO satellites MAY offer ubiquitous (but light-weight) broadband communications for smallish drones. Alternatively, the 802.11ah WiFi standard, using the unlicensed 900 MHz band, might deliver a usable range of several miles in each direction for low speed data. Sigfox also uses 900 MHz, with wireless throughput up to 100 bits per second for Internet of Things. TV Whitespaces, using the unused portion of TV channels between Channel 2 and Channel 29 (54Mhz to 566MHz), may be a contender in the 2017-2018 time frame. Like the 900 MHz, 2.4 GHz and 5.8GHz bands, it uses license-free bands. ShowMyWhiteSpace locates available TV White Space Channels. The rural lower Columbia region doesn’t have incumbent broadcasters so channel space will likely be available. Communities across the country have begun to deploy TVWS networks with public libraries supporting remote Wi-Fi access points in parks, community centers, and kiosks. Carlson Wireless RuralConnect can cover an area up to 20 km (12 miles) in diameter. The IEEE 802.22 standard is a longer range version of the 802.11af standard. With one 6 MHz TV channel it can deliver a maximum bit rate of 19 Mbit/s at a 30 km distance. A Columbia River Whitespace network might have hotspots every 10-20 miles. Hand-off at the 30-60mph speed of a Drone, using 2.4GHz-2.6 GHz, may be problematic since handoffs would be nearly continuous. Lower frequency White Spaces have longer range and may cost approximately $10K per node. Combined with H.265 compression, real-time HD video as well as internet connectivity along the river may be possible for $100K-$250K. Unfortunately, the IEEE 802.22 standard still lacks automatic handoff, so any long distance Drone application may be more conceptual than currently practical. The above map (for illustration purposes only) fills in the White Space coverage areas (from community libraries) with about 20 more (yellow) White Space access points. Whether or not comprehensive wireless coverage all along the Columbia River, from Portland to Astoria, using either White Space or 2.6 GHz relay nodes (5G) is practical has yet to be determined. Qualcomm hopes to enable “LTE-based” networks using MuLTEfire on unlicensed spectrum. It could allow private businesses and hotspot operators to deploy LTE instead of Wi-Fi, with better range and efficiency. Unlike previous LTE Unlicensed plans, MuLTEfire does not require a licensed cellular operator. While good old 802.11ac WiFi is ubiquitous and cheap, LTE has an edge over Wi-Fi in subscriber authentication, handoff, and channel utilization. Perhaps LTE in White Spaces (using MuLTEfire) will be a gamechanger, enabling more reliable, less expensive long range connections. Or not. Alcatel-Lucent’s Cloud-RAN puts cellular basestations in a centralized data center. Instead of expensive macro-cells and associated gear, centralized Intel Xeon processors do all the work, eliminating bulky expensive cellular gear, for smaller, cheaper and more efficient cellular networks. Why focus on broadband wireless? Because it’s important for creating controlled airspaces for drones and for real-time video. Broadband wireless is also important for economic development in communities along the Columbia River. Drones can be a catalyst for that development. It’s a perfect storm for 5G standards, enabling in-vehicle communications, inter-vehicular communications, and cloud-connectivity by 2020, using a variety of frequencies. 5G will support a 1 Gbps cell-edge data rate. Deliver 1 Gbps wireless around a 10 mile radius and fiber becomes redundant. Permanent, controlled airspace for drones may be part of that mix and ought to enable practical UAV traffic up and down the Columbia River. Autonomous cars and drones may be the first to use “5g” cell channels. The FCC reformed the Universal Service Fund (USF), a line item on all telephone bills, to accelerate broadband in unserved areas by “subsidizing” the approximately 23 million Americans who lack access to 10 Mbps fixed broadband. It will upgrade all households in a given area to 10 Mbps down/1 Mbps up in the Connect America Fund (pdf). AT&T will accept nearly $3 billion in Phase II Connect America Funds, at a rate of $428 million per year over the next six years. Oregon and Washington are NOT among the 18 states where AT&T will use the money. Same deal with Verizon and Century Link. However, Frontier was given $3,897,357 from the FCC to support 8,542 locations in Oregon and $8,688,054 to support 19,713 locations in Washington (pdf), or about $12M (total) annually to support both Oregon and Washington’s broadband service in rural areas. Unlike AT&T and CenturyLink, Verizon turned down the federal funding. While Verizon will be accepting $48.5 million in FCC CAF Phase II funding, this money will effectively be set aside for Frontier, who recently acquired all of Verizon’s fixed-line assets. State programs like “Connect Alaska” might provide a useful service for carriers and users, connecting them with state-wide and federal funds. ConnectOregon was created in 2005 as a means to use state lottery money to invest in nonhighway transportation and economic development. Without effective public/private partnerships, millions in telecom funding could be left on the table. To summarize, wireless nodes (with integrated drone landing/recharging) might be located near ports every 10-20 miles along the river. Flying at 100-400 feet, Columbia River drones would be provided with constant broadband connectivity for telemetry and live video. Continuous on-board beaconing would indicate the drone’s presence to other aircraft. A combination of 600MHz and 2.6 GHz (licensed), and TV Whitespaces (unlicensed) could provide continuous broadband connectivity along the river. Cisco’s Smart+Connected Communities solutions may supply Google’s WiFi for cities while 2.6 GHz and 600 Mhz could supply long range connectivity for river traffic. Predator drones are like steam-powered Apollo capsules – virtually all the computer power is remote, requiring large bandwidths. The Movidius Myriad 2 vision processor works in cell phones. It “understands” what it is looking at and enables a drone to intelligently contextualize its surroundings. With computational vision chips, data can be parsed on-board, stripping out relevant metadata from a video image. Meanwhile, data centers are adding muscle. Computational photography enables all sorts of clever tricks using the cloud to extract invisible data. OpenStack cloud computing controls large pools of compute and storage resources throughout a datacenter, all managed through a dashboard. Open source Puppet is the foundation of the Puppet Labs approach to IT automation. Nvidia combines its Shield tablet with Grid, a cloud-based gaming service that may have implications for many cloud-based applications. H.265 encoding, available on Qualcomm’s 810 smartphone processor can reduce HD bandwidth by 50%. Competition from Open source VP10, promoted by Google, avoids the licensing for HEVC. Cisco and Mozilla are contributing their compression technology to an effort to create a royalty-free streaming video standard called NetVC. Meanwhile, Portland’s Elemental Technologies can do the number crunching in the cloud, bring real-time video to all manner of displays. OpenVX provides mobile developers with an industry standard API to deliver embedded computer vision and computational imaging chipsets that can keep UAVs on track. Cloud Cap autopilots allow precision navigation for complex missions with thousands of waypoints and offers Long-Wave Infrared (LWIR), Mid-Wave Infrared (MWIR), thermal cameras, and Short-Wave Infrared (SWIR) cameras from Sensors Unlimited. Jonathan Evans, CEO of Portland-based SkyWard.io, explains how the emerging aerial robotics network will operate. We Are The Pioneers from SkywardIO on Vimeo. ADS-B is where the airplane simply reports GPS position and altitude. Anybody with any cheap receiver can plot the location electronically. It may replace radar as the primary method for controlling aircraft worldwide. Aircraft equipped with ADS-B transponders relay precise aircraft location and other flight information to both air-traffic controllers and other ADS-B-equipped planes, much like marine-based AIS systems. Aireon will use the Iridium NEXT for their ADS-B service, starting in 2015. 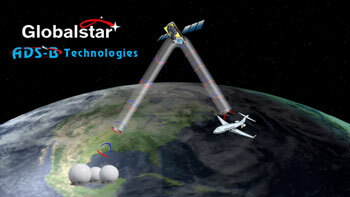 Globalstar also plans a space-based air traffic management system that will compliment ground-based ADS-B. It’s a true over-the-horizon air traffic surveillance system capable of delivering Air Traffic Control (ATC) automation. Orbit Logic does Mission Planning for satellites and UAVs. Maybe Puppet Labs could do it in the cloud. Orbit Logic’s SpyMeSat mobile app, available for iPhone and Android, provides notifications when imaging satellites are overhead and will now offer in-app purchase of recent high resolution satellite imagery. The Navy’s Common Unmanned Surface Vessel (CUSV) is operated by similar command-and-control technology that powers Army UAVs. They can be controlled remotely from 10 to 12 miles away from a command station on land, at sea, or in the air. Bluefin Robotics, a Battelle subsidiary, and the Columbia Group developed the Proteus, an underwater AUV. Christenson shipyards in Vancouver is working with Oregon Iron Works on a secret autonomous vessel for SAIC (now Leidos) and DARPA. It can follow enemy submarines for months and travel thousands of miles — without any crew. Carnegie Mellon is developing the vessel’s autonomous software. DARPA expects to test the operational unmanned vessel prototype in mid-2015. It’s moored next to Vancover’s fireboat at Christenson’s moorage. DARPA’s Tactically Exploited Reconnaissance Node (TERN) program envisions using smaller ships as mobile launch and recovery sites for medium-altitude, long-endurance UAVs. See: Hayden Island Stealth Boats. The US Navy recently tested a swarm of robotic gunboats using the Control Architecture for Robotic Agent Command and Sensing (CARACaS) that lets them operate independently while sharing radar data. Between unmanned airplanes and unmanned boats, the Columbia River should be well patrolled. Imagine a future where FedEx in Troutdale or UPS on Swan Island deliver rush items up and down the river. Today Newtek Tricasters and LiveStream Studio can integrate multiple sources into live webcasts. Ultimately, drone video will become ubiquitous — just another another tool. NFL Now may be instructive in concept and scope. Their live video is fully cross platform, archived, user controlled and in-house. But you don’t have to be the NFL to play. You Tube enables anyone to use drone video — fast, cheap — and live. From any vehicle. Independent drone operators, not unlike railroads, could offer “common carrier” service on a franchise basis. They may be managed by different governmental jurisdictions. Long-term contracts for railroad, maritime, fishing and forestry industries as well as EPA, ODOT, WDOT and public safety agencies would provide much of the revenue. Commercial vessels (and communities along the river) could also utilize the broadband wireless network for logistics and commerce. Relatively soon, river-based “skyways” may enable controlled airspace for all manner of individuals and organizations that follow the rules of the road, stimulating new services (such as autonomous vessels) and products. Vancouver is River Mile 105 from the mouth of the Columbia. A ScanEagle would only take an hour or so to traverse the entire length. An autonomous surface vessel would take a little longer. The development of solar-assisted UAVs, FAA-approved test sites in Oregon, type certification for commercial use over certain restricted areas, ADS-B automation, flight-plan and mission planning software for UAVs, embedded processing chips, FLIR, hyperspectral and Lidar cameras, and broadband wireless connections are moving fast. Applications in forest and terrain surveys, agricultural monitoring, public safety, maritime and transportation industries are developing just as quickly. Together these innovations may bring a Columbia River Drone Network closer to reality. Aviation Week and Flying magazines have been joined by Drone Life, Multirotor Pilot, RotorDroneMag, Robohub.org, Small UAS News, Small UAV Coalition, Flipboard and Reddit with the latest UAV news. The Oregonian says the smartest thing Oregon can do is to become a capital of drone testing, design and manufacturing. Maybe it’s time for a drone-based detailed aerial survey of the Gorge, from Umatilla to the Coast, similar to Dogami Lidar Maps but cheaper and with more resolution. The Big One is coming. It pays to be prepared. The Columbia River has traditionally been used as a natural enabler and catalyst for business. It doesn’t have to be used exclusively as a pipeline for coal and oil. Great idea! Larger quad-copters with larger motors, propellers, and batteries could be able to stay aflight longer possibly being able to make 6-8 hour flights to reach places as far as the coast. First off, we’re fans of your site and we thought your article about drone mapping was very interesting. The idea of their Kickstarter was simple- to map with drones; however, someone cannot utilize their software without knowing how to fly a drone. I’m writing to inquire as to whether you may be interested in a story of about our Kickstarter campaign OR would be open to us posting a guest post! Our work has been featured on Buzzfeed and Good Morning America, the National Geographic Channel and more. Spark Aerial’s Kickstarter campaign is more than 100% on the way to their goal with 21 days to go. We know this isn’t the biggest campaign ever, but we’ve got 75 backers, and we’re just now starting to get some exposure such as being one of the lead stories on Xconomy. If you’re interested, please let me know next steps. I’m happy to send along more information. We’re live for another 20 days!! Thanks so much, and I’m looking forward to hearing back soon!